Ziggy is all about the warmth of ginger and fresh citrus zing of lemon. 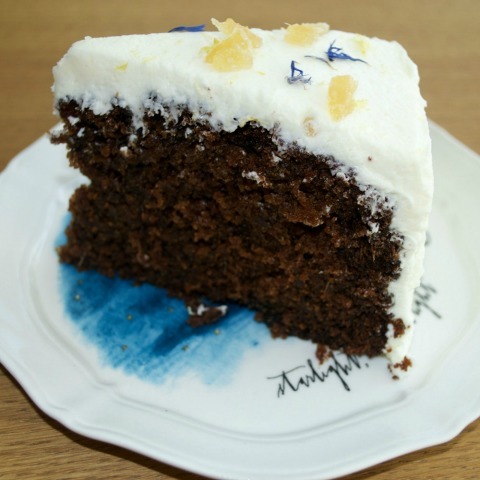 Deep, dark sponge flavoured with fresh ginger and the almost smokey notes of molasses, is balanced with a zesty lemon frosting. Ziggy is the only one of my cakes that is not layered and filled. The sponge is rich, moist and a riot of flavours to be enjoyed without any other interruption. 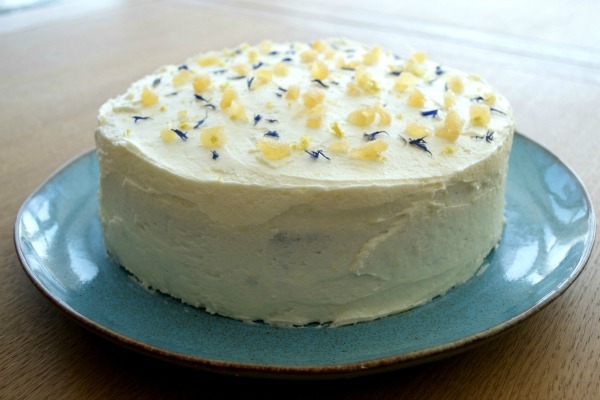 Ziggy is a ginger, molasses single layer cake, covered in a lemon frosting. 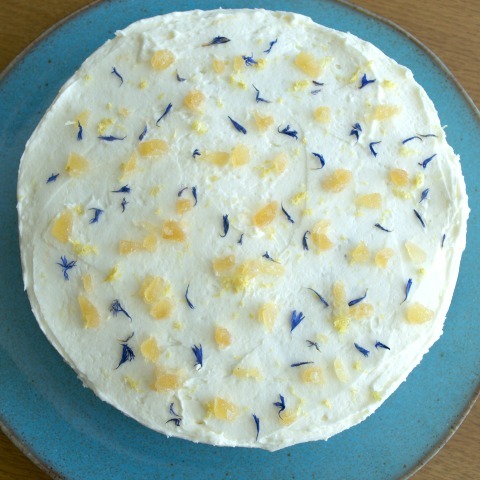 She is decorated with crystallised ginger and edible cornflowers, for a shot of electric blue. I recommend eating all of the cakes within 72 hours of delivery to enjoy them at their best. Ziggy does not need to be refrigerated and will keep well in an airtight container.